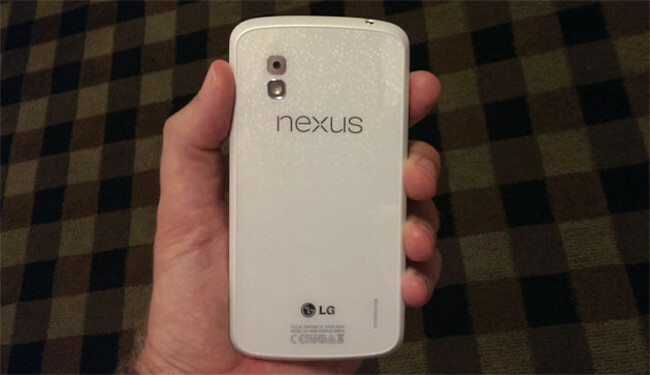 Hey, the white Nexus 4 for the third time in a week! Though this time it hits a little closer to home as it was obtained by our buddy Taylor from Android and Me while at Google I/O this week. According to his sources, this white model will be available from Google Play on June 10 and is exactly the same as the black version (same storage, and no LTE) only it comes in…white. Along with his new mobile addition, he is reporting that Android 4.3 will launch on June 10 as well. The update is expected to be minor, which may be the reason it wasn’t front and center at I/O this week. As one would expect, the update will hit all Nexus devices shortly after it is released. Who is ready to pick up the white N4?